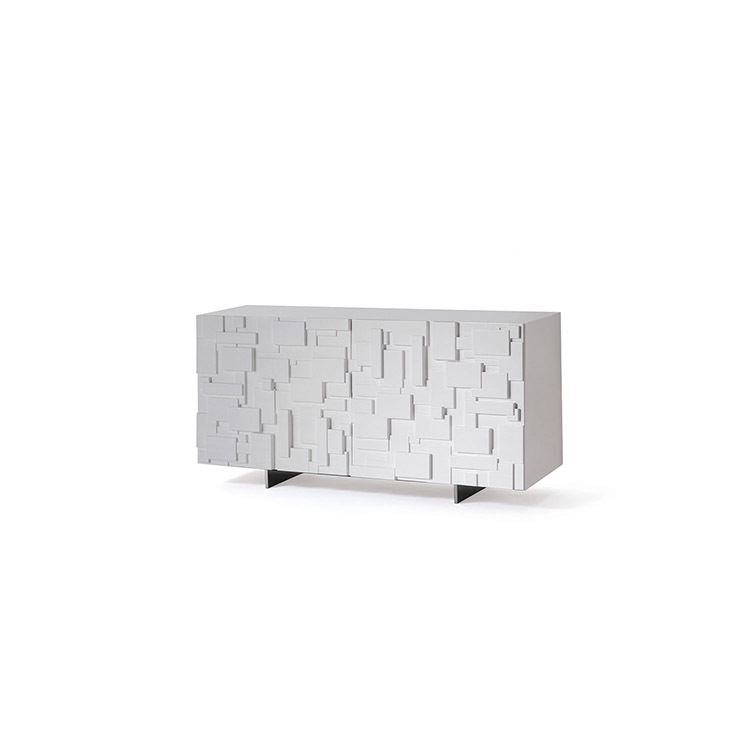 Sideboard in matt white or graphite lacquered wood with rigid polyurethane doors. Polished stainless steel feet, matt white or graphite varnished. Internal shelves in clear glass. 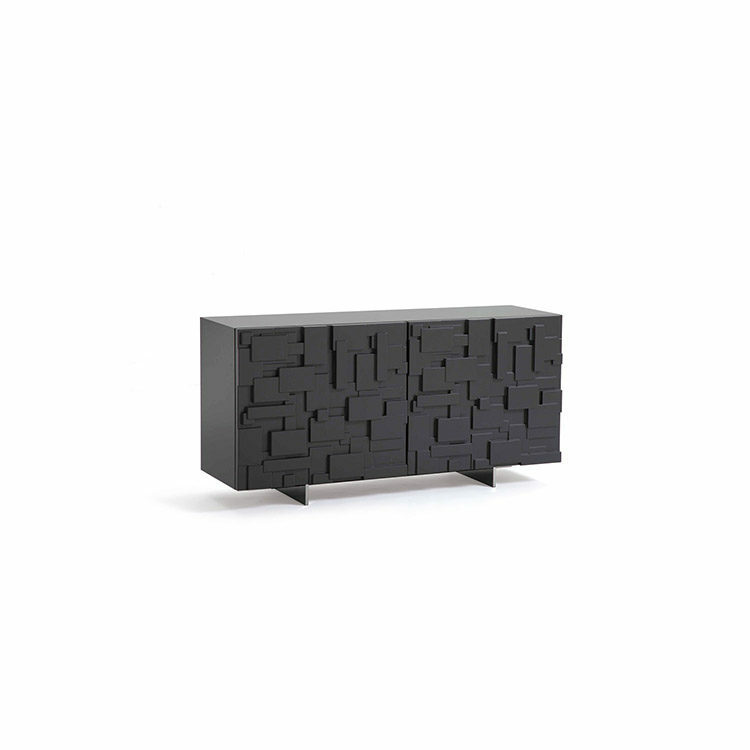 Internal drawer in the 3 doors version.